I've created a complimentary Life Design assessment that maps your interests to a lifestyle profile and is a nifty tool for building a more fulfilling life. When you consider the process of finding yourself, you likely think of it as a journey of inner reflection. You may assume that you must turn completely inward to get the insights needed to craft your purpose and plan. However, understanding yourself and creating a life vision around who you are actually requires many external inputs as well. Research has show that humans are almost equally shaped by both genetics and innate qualities (nature) as well as environment and distinct experiences (nurture). If you want to improve your life, then you should be aware of how the combination of these controllable and uncontrollable factors influence you — and perhaps more heavily weight the "nurture" aspects because these are things that, at least going forward, you can change. One way to gain a more holistic idea of self is to be aware of your natural affinities — the interests and activities you seem to organically gravitate to. This is because they simultaneously reflect your inner and outer self. What sparks your curiosity and keeps you engaged says a lot about how you perceive the world. In fact, psychologists deem interest to be a central and critical emotion that inspires and navigates you through life. 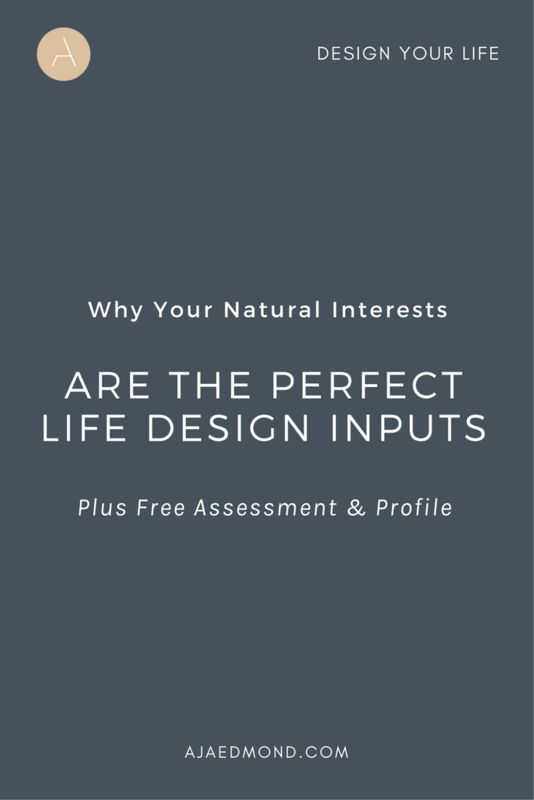 The life design assessment is a short and simple quiz that matches you to a common lifestyle profile based on how you answer a series of questions about your interests and affinities. Though the profile can’t offer formal counsel about your personal or professional pursuits, it’s an interesting way to get a sense of the types of experiences you are most fond of. These experiences can be a strong indicator of what you value most and should be taken into consideration when trying to create a more fulfilling life. Each profile comes with a personalized set of recommendations on the most relevant content on this site so you can focus on the resources that are best suited for you. And as a bonus you’ll also get access to my Growth Mindset course. See how your interests can inform your vision. You can take the life design assessment here. Also, check your inbox and confirm your email to get instant access to my bonus Growth Mindset course.